A Bob's Life: Keeping the Old Phone? I reviewed the details of last week's iPhone 7 release. Usually when Apple releases a new iPhone, I get excited and try to determine how soon I can get the new model. I confess that I have had at least 3 iPhones (4, 5, and 6) and have adapted to the phone's peculiarities which integrates very well with the electronics in my home. I'm not as excited about iPhone 7. The advertisements have not created a need for me to spend hundreds of dollars to replace my perfectly functioning iPhone. I even found an article which encourages keeping the old phone alive and working! That's where I am. The commercialization of my life has not made me a willing consumer for an upgrade. I, at least right now, am content and even though my phone is over two years old, it is my phone and it works great. It is a liberating feeling not to be enslaved to a technology upgrade. 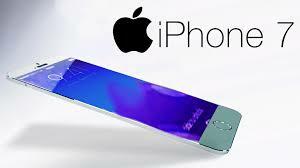 I think Ill wait and see what the iPhone 8 has to offer in a couple more years.